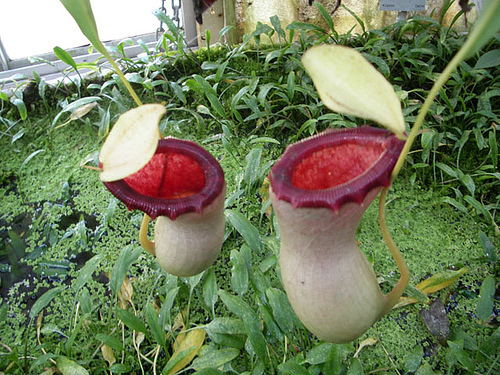 Pitcher plants are famous for being carnivorous plants that have a mechanism that traps its prety within a deep cavity filled with liquid, known as a pitfall trap. It is assumed that pitfall traps evolved from rolled leaves, with evolutionary selection favouring more deeply cupped leaves over time. However, some pitcher plants have flypaper traps, which is more simplistic than today’s pitcher plants. Whatever their original origin, both flying and crawling insects are attracted to the deep cavity formed by the cupped leaf, by visual lures such as nectar bribes and visual lures. The sides of the pitcher plant are slipper and may be curved in such a way so that insects are unable to climb out and rescue themselves. There is a small body of liquid in the pitcher trap which is called phytotelmata. This liquid drowns the insect, and the body of the insect dissolves gradually. It is thought that this occurs by bacterial action, as in the bateria is washed into the pitcher by rainfall. 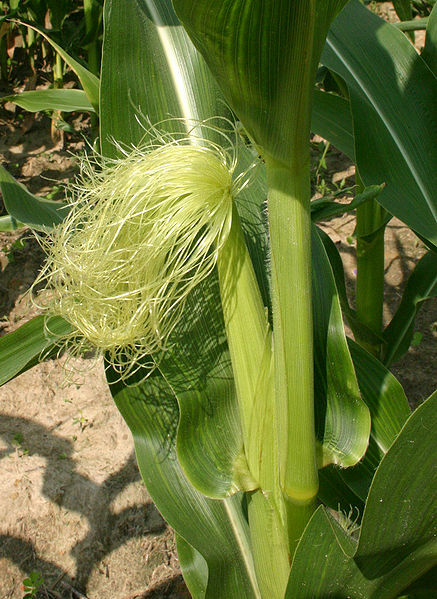 Alternatively, it may be that enzymes are secreted by the plant itself. 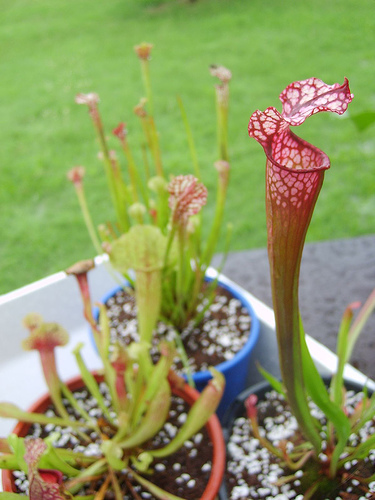 Some pitcher plants contain insect larvae which feed on trapped prey, and the plant absorbs the excreta. 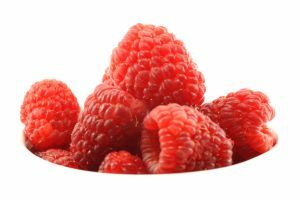 Whatever method it uses for digestion, its prey is converted into a solution of peptides, amino acids, urea, phosphates, and ammonium from with the plant gets its mineral nutrients like nitrogen and phosphorus from. Like other carnivorous plants, they grown in locations where the soil is either too poor in minerals or it is too acidic for most plants to grow. The most famous pitcher plant families are the Nepenthaceae and the Sarraceniacae. The Nepenthaceae contains only 1 genus in its family, called Nepenthes. This genus contains 120 species plus other hybrids. These are considered ‘old world’ pitcher plants, and they have tendrils that extend from the middle of the leaf. They are actually thought of climbers, who access the canopy of their habitats using their tendrils. However, some of these Nepenhes are actually found on the ground or on trees. Sarraceniaceae are ‘new world’ pitcher plants, and there are ground dwellers whose pitchers have a horizontal rhizome. The entire leaf forms the pitcher, while Nepenthaceae pitchers have their pitcher arising from the terminal part of the leaf. The Heliamphora species is known as a marsh pitcher, as they have a simple leaf that is rolld, and at the tip it has a spoon-like structure that secretes nectar. They are found in South America. The Noth American pitcher plants are Sarracenia, and known as trumpet pitchers. Their trap is more complex than their South American siblings, as their trap prevents excess rainwater accumulation. In the Californian genus called Darlingtonia, it actually is rahter complex as it has an inflated lid, false exits, and a forked tongue which actually serves to ferry its prey to the pitcher’s entrance. What a sneaky little plant! 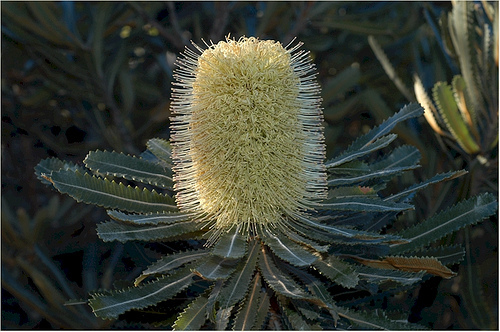 Other families include the Cephalotaceae and only occurs in south-west Australia. Some bromeliads are also known to be varnivorous, and the purple pitcher plant (Sarracenia purpurea) is the provincial emblem of Newfoundland and Labrador in Canada.